Please join us this Wednesday as we welcome Kate Walbert to the Brooklyn College campus. She is the author of Our Kind, a National Book Award Finalist for fiction in 2004; The Gardens of Kyoto, winner of the 2002 Connecticut Book Award in Fiction, and Where She Went, a collection of linked stories and New York Times notable book. 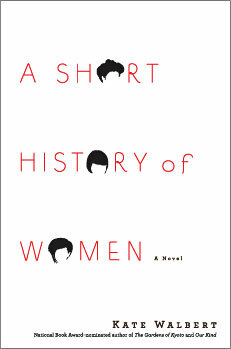 Her new novel is A Short History of Women.